KEEP AN EYE OUT ON THE POLLEN COUNT – Check the pollen count for wherever you’re headed. Plan ahead so you can be prepared. 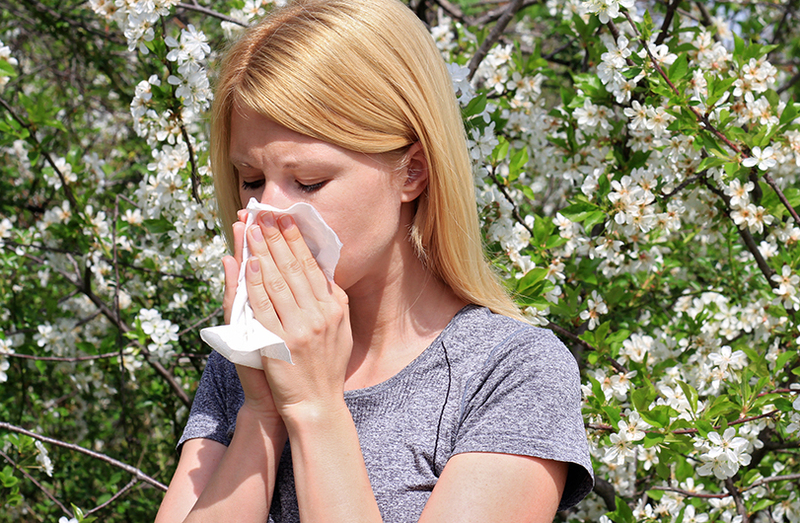 If high pollen counts are forecasted, start taking allergy medications before your symptoms start. SPRING CLEANING: After a long winter, indoor allergens like dust, mold and pet dander need to be tackled. A deep house scrub can help eliminate existing allergens and clear the air. Get out the dust cloth and vacuum! KEEP THE WINDOWS CLOSED: You may be tempted to open the windows to let in the fresh air, but don’t. Opening your windows allows pollen to drift inside, settle into your carpet, furniture and upholstery and continue to make you miserable. 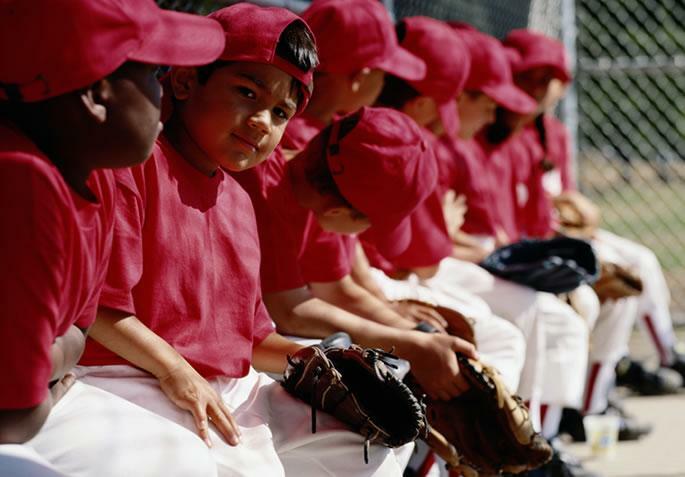 REDUCE ALLERGY TRIGGERS: Stay indoors on dry, windy days. The best time to go outside is after a good rain, which helps clear pollen from the air. Don’t mow the lawn. Remove clothes you've worn outside and shower to rinse pollen from your skin and hair. Don't hang laundry outside — pollen can stick to sheets and towels. Antihistamines. Antihistamines can help relieve sneezing, itching, a runny nose and watery eyes. Examples of antihistamines include Claritin, Zyrtec and Allegra. Decongestants. 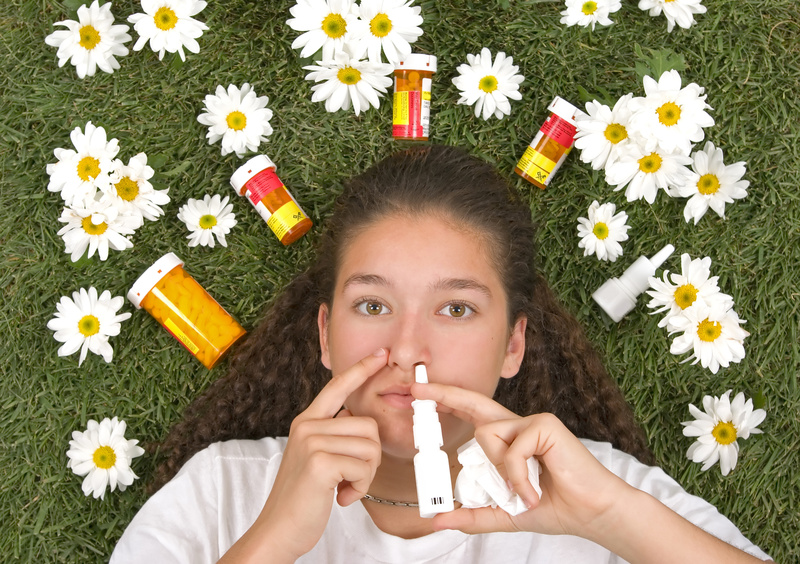 Decongestants such as Sudafed can provide temporary relief from nasal stuffiness. Decongestants also come in nasal sprays, such as Afrin. Nasal spray. Nasal spray can ease allergy symptoms and is most effective when you begin using it before your symptoms start. Combination medications. Some allergy medications combine an antihistamine with a decongestant. Examples include Claritin-D and Allegra-D.
For many people, avoiding allergens and taking over-the-counter medications is enough to ease symptoms. But if your seasonal allergies are still bothersome, don't give up. Consult with a physician for a diagnosis and treatment in the fastest, most efficient way possible at a St. Luke’s Care Now walk-in center or with St. Luke’s Video Visit.